Game Developer. "We get there eventually"
After two weeks I finally have something to show. Danger Frog… you may know it as Frogger. Once again it is a cut down version of the original. This turned out to be a bit more complicated than the previous few games and I am not particularly proud of the code but what can you do… I have already spent two weeks working on it. I can say I have learnt a lot from it and if I were to write it again I am pretty sure I could do better. Posted in Blog, Game, Html5. I had a week off where I revisted the Game Engine. Sounds in particular. I have a better idea of the quirks when dealing with sound. I just have not come up with a simple way to deal with it. 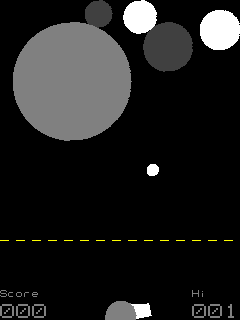 Anyway… I missed writing a game so this week I wrote a simplified version of asteroids ( bet you didn’t think it could get any simpler! ). It still has a few rough edges which I may revisit sometime. I guess it depends on how popular it turns out to be. 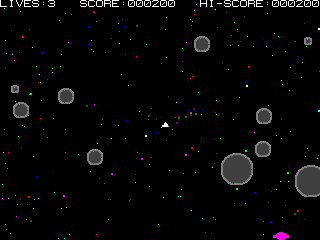 So… here it is… this weeks game is Asteroids… I mean… here it is… Rocks in Spaace! A puzzle game I can’t believe I didn’t do sooner. 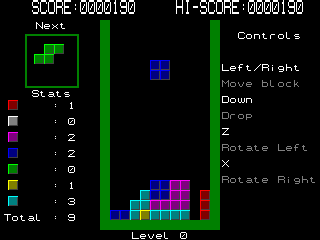 Tetris of course. Created by Alexey Pajitnov. The name came from combining the name for the shapes ‘Tetronimo’ and his favorite sport ‘Tennis’. I am not a huge fan of sport so I replaced the second part with one of my favorite foods. I shall leave you to try and guess what that is :). This might be the last of the weekly games for a while. It’s more tiring than I expected. Each game meant minor tweaks to the engine and it’s looking a bit frayed at the edges. I may spend a bit of time gathering my thoughts and trimming off those edges. Oh yeah… if you have an idea for a game ( its gotta be fairly simple ) that you’d like to see written on these pages just let me know. This is an old favorite that a colleague suggested I should write. Its a classic that I’m pretty sure you have played on something at some time. 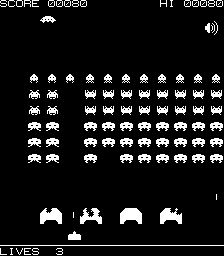 Invaders took longer than I had hoped. I dont want to be bogged down with little details. That isn’t the point of these Game Listings. The point is to “sketch” a game. Looking about for what to write next I decided on 2048. 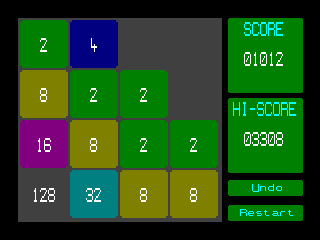 This is a relatively recent puzzle game that seems to be a hit. Its very simple but addictive. A week later and here it is. 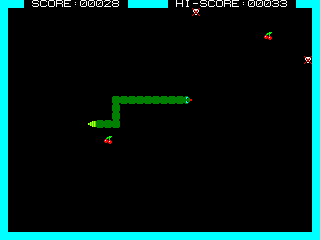 You might remember this game or at least recognize it. Here is the latest addition the my GameListing collection. This one took a fair bit longer than I usually allow for but I wanted to make it look and play right. Still a few things missing comprar kamagra which I may revisit but overall I think its the most polished game to date. Another simple one click game that’s been around forever. 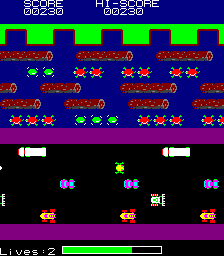 Seems like just about every micro computer had a variation of this game. 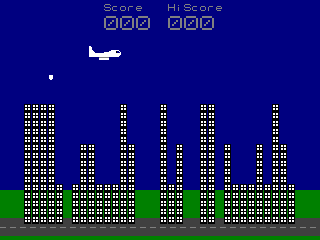 Drop bombs on the buildings as the plane slowly descends. Destroy all the buildings in order to land. The observant among you might have noticed that the last 2 games posted are silent. The fact is my first attempt at generating sounds was not good. There was a delay before the sound actually started and sometimes it didn’t even play at all. Here is another clone. This is an old favorite of mine. A very simple game with just a fire button to control. Search for the game name and you will find the original. A kind of original game here… so be gentle. You start the game with limited amount of time and limited number of shots. Hit a target to earn extra shots. Hit a toy to gain extra time. How long will you last ? You may have noticed its not perfect. 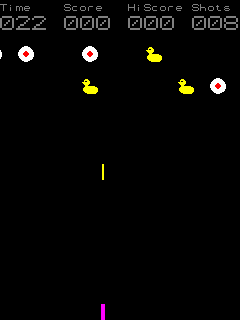 The player is visible all the time for one. I am limiting the amount of time is can spend on a game and I reached my time limit on this one. I might come back and finish this off later if I find some time. Its not a biggy for me. For me the Game Listings are the artist equivalent to sketches. I want to knock them out fast and often. Hopefully over time the quality of the sketches will improve. So you may have been thinking that the GameEngine is all well and good but creating bitmaps is a right pain when you have to create them by hand as an array of numbers. Your right… that’s why one of the first apps I wrote using it was a sprite editor. My original was just hacked together but I spent a little bit of time cleaning it up. Now you can get the new improved editor as a Game Listing. 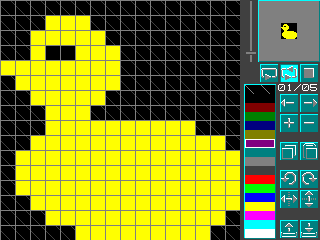 It can export the graphics you create into code you can use in your own game. Import will allow you to make changes. Hopefully the icons are self explanatory. © 2019 QuietBloke Productions, all rights reserved.